Henry Green was the nom de plume of Henry Vincent Yorke. Green was born near Tewkesbury, Gloucestershire, into an educated family with successful business interests. His father Vincent Wodehouse Yorke, the son of John Reginald Yorke and Sophia Matilda de Tuyll de Serooskerken, was a wealthy landowner and industrialist in Birmingham. His mother, Hon. Maud Evelyn Wyndham, was daughter of the second Baron Leconfield. Green grew up in Gloucestershire and attended Eton College, where he became friends with fellow pupil Anthony Powell and wrote most of his first novel, Blindness. He studied at Oxford University and there began a friendship and literary rivalry with Evelyn Waugh. Green left Oxford in 1926 without taking a degree and returned to Birm Henry Green was the nom de plume of Henry Vincent Yorke. Green left Oxford in 1926 without taking a degree and returned to Birmingham to engage in his family business. He started by working with the ordinary workers on the factory floor of his family's factory, which produced beer-bottling machines, and later became the managing director. 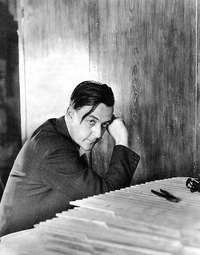 During this time he gained the experience to write Living, his second novel, which he worked on during 1927 and 1928. In 1929, he married his second cousin, the Hon. Adelaide Biddulph, also known as 'Dig'. They were both great-grandchildren of the 1st Baron Leconfield. Their son Sebastian was born in 1934. In 1940, Green published Pack My Bag, which he regarded as a nearly-accurate autobiography. During World War II Green served as a fireman in the Auxiliary Fire Service and these wartime experiences are echoed in his novel Caught; they were also a strong influence on his subsequent novel, Back. What fiction book would you like to read for June?